We are happy to announce the launch of our new communication channel: Security Buzz, where Auth0's experts will be sharing news, opinion articles, and more about security. "We are happy to announce the launch of our new Security Buzz communication channel"
Stay tuned to learn about cyber security as it is being crafted! 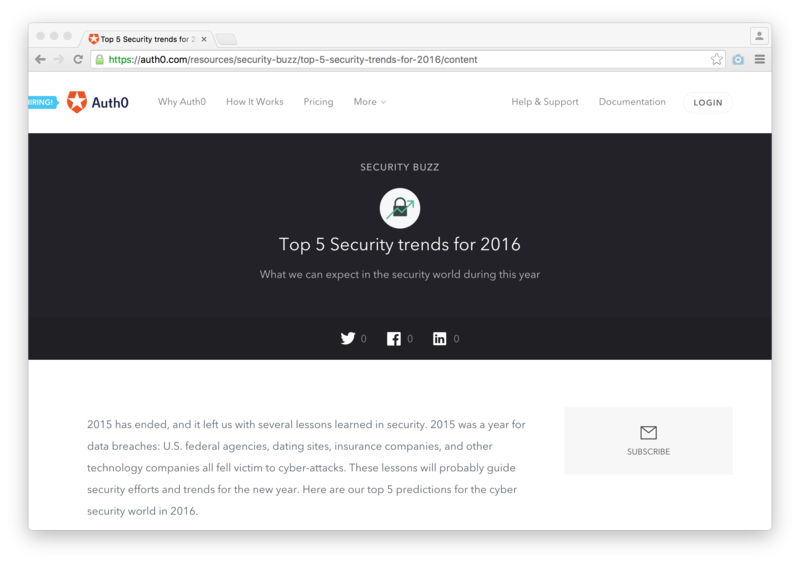 To inaugurate Security Buzz, our first article: Top 5 Security Trends for 2016 is already published. Check it out to know what to expect in the security world for the current year!